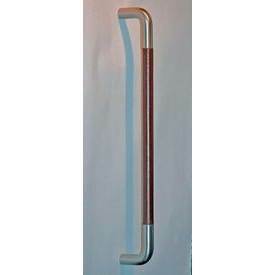 19mm diameter pull handle with leather wrap , can be made in a variation of finishes for example polished stainless steel, satin stainless steel, polished or satin brass, pvd finish and aluminium. and with different types of leather. please contact sales@dortrend.co.uk for more information.